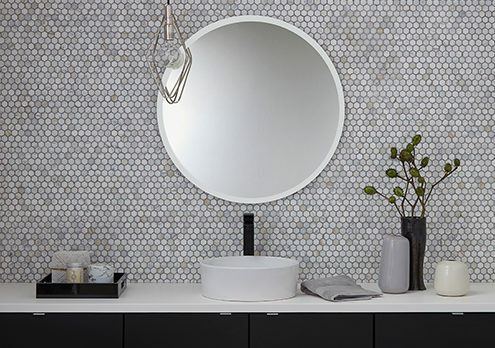 Check out Rotunda, a 1 inch Hexagon Mosaic made of marble. This polished adds a great look to interior floors and walls, especially showers. Come experience this mosaic and other trending tile & stone at our newly redesigned Scottsdale Showroom, located at 8340 East Raintree Drive, Scottsdale, AZ 85260.